What's Happen'Inn at Sandlake Country Inn? : Looking for Tillamook Hotel, Motel or Lodging? Try our Tillamook area Bed and Breakfast! Looking for Tillamook Hotel, Motel or Lodging? Try our Tillamook area Bed and Breakfast! 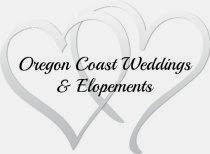 Sure, the Tillamook, Oregon area lodging options include Tillamook Hotels and Tillamook Motels, but why not consider our Tillamook area Bed and Breakfast, Sandlake Country Inn. Many Tillamook hotels and motels say they give you a bed and breakfast 'feel' and offer a B&B package, but there's nothing like staying in a real Bed and Breakfast. Watch the video above to see what would happen if bed and breakfasts offered a 'Hotel Package'. As members of the Professional Association of Innkeepers International, we feel that B&Bs are "The Better Way to Stay". If you think that a bed and breakfast has shared baths, paper thin walls and everybody has to sit around a breakfast table talking to each other, THINK AGAIN. At our Tillamook hotel and motel alternative of bed and breakfast, you can enjoy in room jacuzzi bath tubs for 2, luxury bath products such as bubble baths, body lotions, glycerine soaps, fluffy towels, a 24 hour beverage area with a bottomless cookie jar, snacks and PRIVACY! And the best part? We deliver a complimentary hot 4 course sumptuous breakfast and your hot beverages to your door each morning! You never have to get up early, put your smiley face on and eat with strangers. We'll even delivery our add-on relaxing dinner to your room. There's nothing like room service after a long day of hikes and beach walking. Just a short drive from Sandlake Country Inn and you can be in Tillamook, visiting the famous Tillamook Cheese Factory, the Blue Heron French Cheese Company and the Tillamook Air Museum. After exploring the Tillamook area, you can come back to your private, romantic room at Sandlake Country Inn. Another way we are different from a hotel or motel experience in Tillamook or any other town, is you won't hear other guests running down the halls slamming doors, kids crying (children are allowed in our separate Cottage, only), toilets flushing from the room next door and you will never get a continental breakfast. Fresh homemade 'real' food hot from our oven and our hearts. When traveling to the Tillamook, OR area, choose "The Better Way to Stay" at our Sandlake Country Inn.